The Joint Admission Matriculation Board, [JAMB] Gives Reasons Why the 2018 UTME Results Will Not Be Released Immediately After Examinations. The registrar of the Joint Admission Matriculation Board, Prof Ishaq Oloyede, during a press conference titled “Conduct of the 2018 Unified Tertiary Matriculation Examination” in Abuja on Wednesday has disclosed why the board will not be releasing the 2018 UTME results immediately unlike it did in 2017. According to the registrar, the reason for the delay in releasing the results is to review the activities of the candidates and to minimise the number of cancellations. 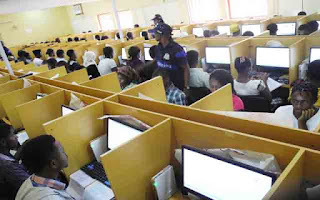 Mr. Oloyede said no computer-based centre is allowed to collect any cash from the candidates adding that the board will release the agreed sum of N600 per candidate due to the centres to them. He also said the board will not relent in its effort to tackle examination irregularities. The registrar urged candidates to adhere strictly to the date and time allocated to them for examination. He said any candidate who fails to turn up on schedule for his or her examination automatically misses the examination.